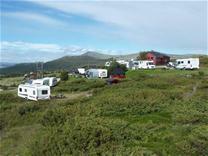 Everyone is welcome to relax and enjoy during their camping holiday. 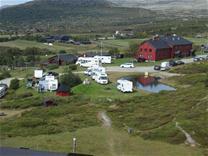 The campsite is nestled with stunning views of Høvringen and with many hiking opportunities. 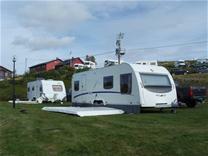 We have good places for both caravans and motor homes with the possibility of power and water supply and dump station toilet. 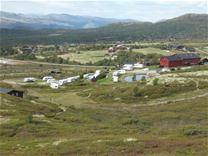 We also offer access to a sauna and shower with separated men and women wardrobe. We also have a kiosk and TV lounge inside the hotel. If desired, you can buy breakfast, lunch and dinner inside the hotel. 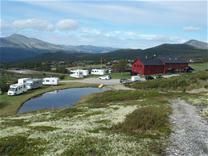 We also have a barbecue hut that everyone at the camp have the opportunity to make use of.